On Monday May 1st 2017 Lesley Penn helped her local Morris Men welcome the sun and dance on Bidston Hill, in the Wirral. Lesley gathered a group of friends to join them and watch the dance then invited everyone to breakfast at her house afterwards, in aid of SolarAid. 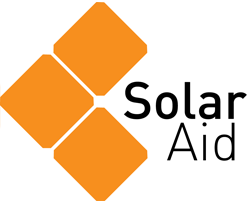 Lesley charged £6 per head and raised a total of £68 pounds to support SolarAid’s work in Africa. Their donation will help children study for an extra 17,100 hours thanks to solar light and avoid 18 tonnes of CO2 entering the atmosphere. The great thing is that this works as a fundraiser even when May 1st isn’t a bank holiday. People can get up for dawn, have a breakfast and can still get to work at a reasonable time. My granddaughter a few years ago was thrilled to be able to tell her classmates that she had seen the sun rise. Urban children often don’t see sunrise. 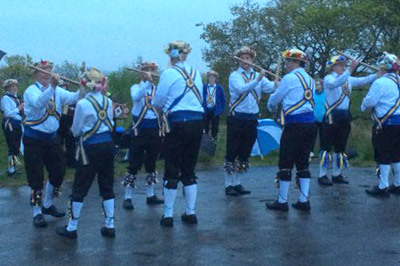 The sunrise was at 5.39 am in Birkenhead, the dancers were dancing and the sunrise was a little shy this year due to the clouds but we had a great time. We had breakfast at 7 and everyone had paid up and left by 8.30 with the washing up done, quite an efficient fund raiser! Thanks Lesley, we really value your support.